Is 3-D Finally Turning Good? First, let me just state how I despise 3-D. For me, it’s just an excuse for Hollywood to squeeze an extra few dollars from each ticket, and the fad lasts for only a few seconds before it becomes boring or too iritating (I remember while watching the megaflop John Carter, my eyes were literally watering up). It creates a dimming effect on the screen. It makes movies focus more on visuals than story or character development. And it’s spawned some of the worst films of the past few years, such as Transformers: Dark of the Moon, The Green Hornet, and Green Lantern. But 3-D can actually be used quite well. Take for example last year’s Hugo, Martin Scorsese’s movie about legendary filmmaker George Méliès. It’s one of the few films I recommend the 3-D viewing over the 2-D one. Why? Because Scorsese actually uses the third dimension not to do what most 3-D films do (throw punches in front of the camera, see explosions, etc. ), but to give the film a whole new complexity. It was one of my favorites of 2011, and one that I’ll surely mention about in years to come. Later, Martin Scorsese said if he could have, he would have made all of his films in 3-D. It is hard to imagine a gritty film like Raging Bull in 3-D, but if there’s any director who could pull that off, it’s sure to be Scorsese. Perhaps Hugo has encouraged other directors to try out Scorsese’s technique. 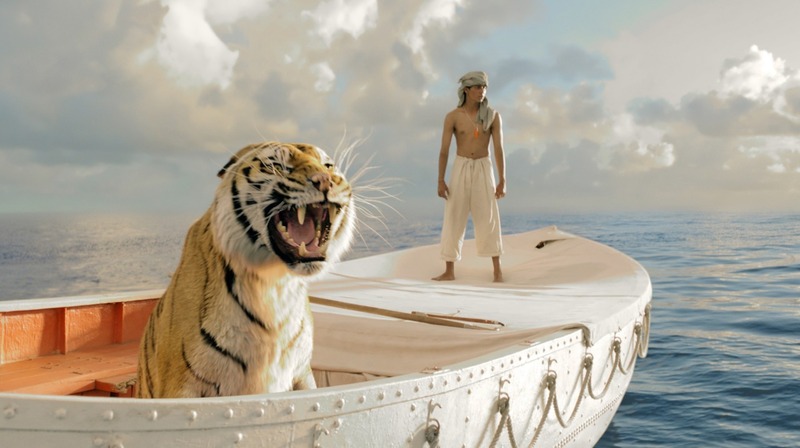 Ang Lee, one of the best directors of the last ten years, made his newest film Life of Pi, a movie about a boy and a tiger on a boat stranded at sea, in 3-D. The most recent adaption of The Great Gatsby, which stars Leonardo DiCaprio and Toby Maguire, is also in (guess what) 3-D.
How will these films be? I’ve read some early reviews of Life of Pi, all of which have been extremely positive, with many calling it an easy contender for Best Picture. And Ang Lee has shown his masterful directing style in films such as Crouching Tiger, Hidden Dragon and Brokeback Mountain. I’m sure Life of Pi won’t disappoint. As for The Great Gatsby, I’m a little unsure of. Life of Pi seems to be an art-house movie for serious filmgoers and critics, but The Great Gatsby seems to be more of a big Hollywood vehicle. And Hollywood might be trying to just make some more money off a film. Of course, it’s a little unfair to assume that. I’m hopeful that the movie will be good (I attended a six hour reading of the book a while ago and thoroughly enjoyed it). So is there hope for 3-D? I’m sure audiences will eventually tie out of it. But if more directors like Lee enter the realm, maybe there’s a shining light in movie history for the third dimension after all. 3D is the obvious next step in cinematic evolution and I hope that we’re at a point now where it doesn’t have to be a gimmick. That it can finally be used to enhance a picture (a la Hugo). Yeah. I’d like to see more filmmakers like Scorsese step into the 3-D realm. Ang Lee’s Life of Pi looks great, but it always annoys me how most 3-D films are giant mindless action films, like Transformers and more recently Battleship.